With just one more painful night at sea to endure before the leaders reach the finish of Leg 6 in Miami on Wednesday, at 0700 GMT today, PUMA Ocean Racing powered by BERG (Ken Read/USA) were holding off CAMPER with Emirates Team New Zealand (Chris Nicholson/AUS) with a margin of just 11.30 nautical miles (nm). “We are hoping that this leg has now turned into a two-boat match race, but like we saw Telefónica drop so many miles the other night, nothing is given and won’t be until the finish line is crossed,” said CAMPER MCM Hamish Hooper. 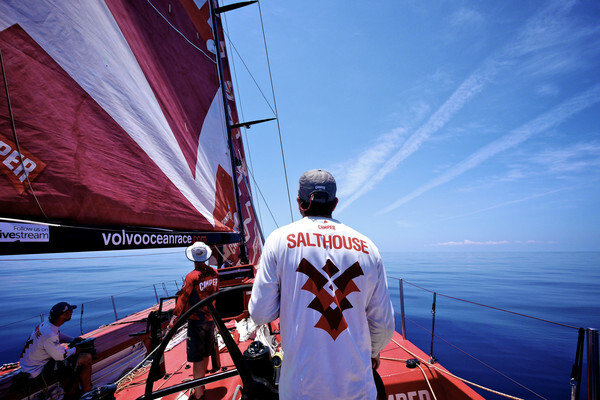 The light and variable breeze brings with it the potential for big losses to the trailing boats, and will continue to do so until the winner is safely across the finish. 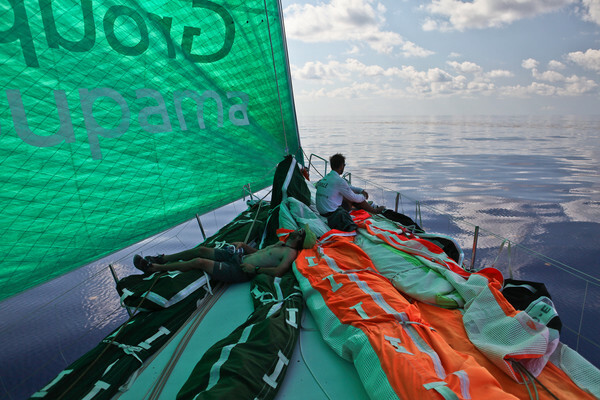 In the second tier, Telefónica (Iker Martínez/ESP) were continuing to press Groupama (Franck Cammas/FRA) for third place with a fraction over 10 miles separating the two. Both teams had made gains on the leader but were 55.20 nm and 66.10 nm astern of PUMA in what might appear to be a safe margin. However, with the breeze continuing to be light and fluky for much of today, nothing is certain any more. 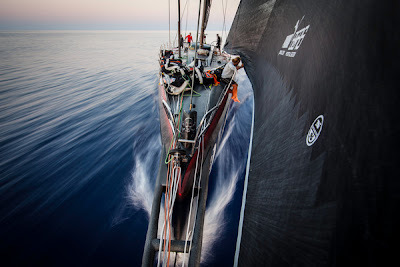 In the previous three hours boats speeds have begun to creep up, with Groupama and Telefónica managing to average a promising 11 knots, although at the head of the fleet PUMA slowed, while CAMPER was able to sail a knot faster. In fifth place, Abu Dhabi Ocean Racing were suffering and are now 108 nm adrift, sailing the slowest in the fleet. Overnight, PUMA and CAMPER passed between the islands of San Salvador to their east and Rum Cay to their west. PUMA is now 15 nm southeast of Cat Island. 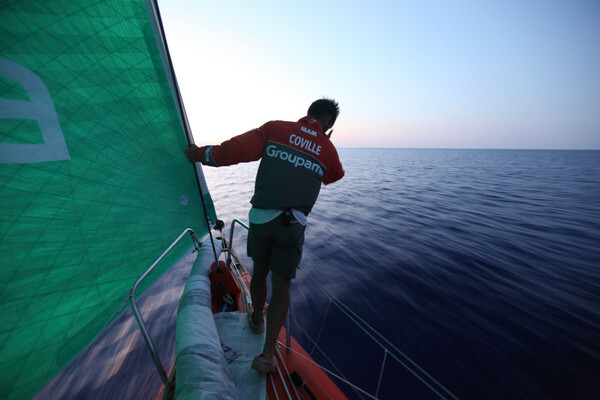 It will be a tedious stretch to the first turning mark at the Eleuthera Island Light, 124 nm ahead, but once round, the leading pair will find a more established breeze to allow them to reach towards the finish line at about 10 knots. 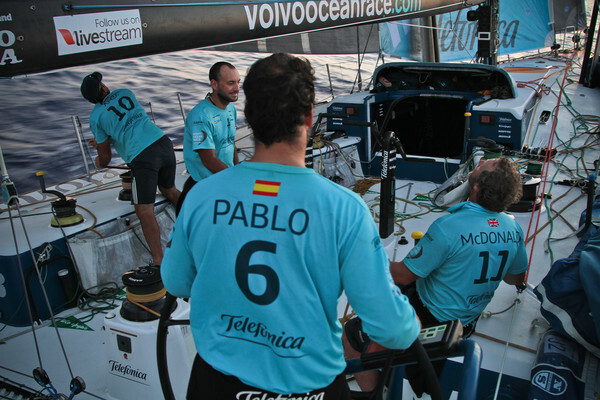 The leading boat is expected to cross the finish in Miami at around 1200 GMT tomorrow.